Only 27 days left until we welcome you to Lund this December 6 and we have two announcements for you! 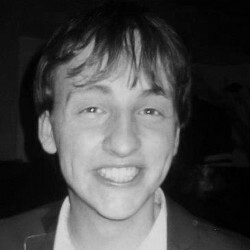 Joining Harish, Emilia and Milan is another fantastic guy and EUDC 2013 finalist by the name of Michael Barton! We warmly welcome Michael to the growing A-Team of the tournament! Elite Hotel Ideon in Lund has agreed to become our co-presentor for this year! This means that all participants of Lund IV Elite Hotel Ideon 2013 will be sleeping in this prestigious hotel at no additional cost! This means that you won’t have to worry about crash options, because you are staying in this wonderful hotel! Excited now? We still have a few slots left! Head on over to https://docs.google.com/forms/d/1hIYtqCdXL2ml-lzloDuG4DYLuV5as86PkVSPH1skg8g/viewform to register! Previous PostPrevious It keeps getting better!